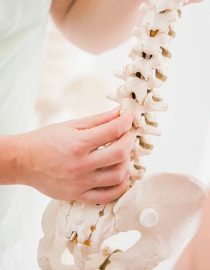 Rheumatoid Arthritis Chiropractic Treatment: Is Chiropractic Right for You? Is Rheumatoid Arthritis Chiropractic Treatment Right for You? Chiropractic manipulation is a very safe and natural method of healing and has helped millions of people for over a century. The first chiropractic manipulation helped restore the hearing of a patient who had gone deaf. However, every form of healing has its limitations, and if you are asking whether or not you should seek chiropractic treatment for your rheumatoid arthritis, the answer is yes and no. Chiropractic can calm the inflammation that is occurring due to the disease process. Once the inflammation is calmed, your body has a chance to heal. Plus, you’ll feel pain relief from your body’s own natural painkillers. Your muscle tone and strength may also increase because spinal manipulation strengthens the nervous system input to the muscles. Chiropractors use treatments other than manipulation that help your body in many ways. For example, they may include massage or cold laser therapy in your plan. Both these will increase blood circulation to hurting, painful joints. You may also be given rehabilitation exercises to further increase range of motion when you’re at home. Diet recommendations may also assist you in achieving a more ideal weight that takes the stress and impact off joints. That’s a lot of yes answers, and a lot of positive things that could come from a chiropractic office visit. The other side of the coin is that chiropractors should not adjust the cervical spine if you have rheumatoid arthritis. In different types of arthritis, the disease process targets certain joints. In RA, the joints of the hands, feet, hips, and cervical spine are commonly affected. The upper cervical spine is quite delicate, and if rheumatoid arthritis has affected the bones causing deterioration a chiropractic manipulation could worsen the area. The fear is that the spinal cord could become damaged and result in paralysis if an adjustment is made to an already-deteriorated area. There are ways around this problem. The safest way is that chiropractors don’t have to adjust your upper spine at all. They could instead focus on other parts of your spine that are more stable. Chiropractors may also order imaging studies such as x-rays of the upper cervical spine to insure that deterioration has not set in. They can repeat these imaging studies on a regular basis to stay abreast of changes. Inquire whether or not the chiropractor takes x-rays or sends patients out for x-rays. Ask whether or not the chiropractor is able to help someone with rheumatoid arthritis and what modalities they would use. Listen for some of the above-mentioned therapies. If you need nutritional guidance, ask whether or not the chiropractor works with patients on diet guidelines and if supplements are recommended. Ask what type of results can be expected for a patient with rheumatoid arthritis. Inquire whether manual manipulation is the only type of therapy used, or if gentle forms of manipulation such as activator are commonly utilized. Ask to review the testimonial book of the chiropractor. Keep in mind the general rule: With rheumatoid arthritis, you can receive many of the numerous therapies a chiropractor offers to boost your health; just not neck adjustments. Always discuss your individual case with your chiropractor and ask specifically what is and what is not a good type of treatment for you. Does Acupuncture and Acupressure Work for RA Pain Relief? Could acupuncture and acupressure help with RA pain? Joint destruction occurs with RA progression and playing with acupressure could worsen your condition. This is a must for me and helps with issues with my feet that put my hip out of balance and a tremendous help with my neuralgia. I go once a month to my chiropractor, he helps me a lot. Very gentle. Yes! Need to find a very good one...ask around. Omg a chiropractor almost killed me right before I got diagnosed.